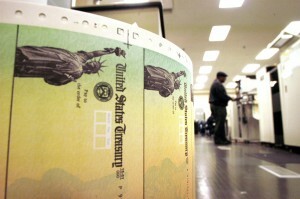 Do the recent changes in Social Security rules allow you to file and suspend? Marta – Dubuque, Iowa: My husband and I want to retire before full retirement age. I was born in August of 1951. I will be at full retirement age in August of 2017. My husband is one year younger (born in July of 1952) and is the higher wage earner. He left his job on Feb. 1, 2016. I will work until Sept. 1, 2016. What is our best Social Security strategy? Should he file and suspend so that I can draw the spousal benefit until he reaches either full retirement age or age 70? ​If you are a high-wage couple, this change in the law may have cost you upwards of $60,000. I believe your best bet is to both wait until 70 to take your retirement benefits. I also would encourage you both to keep working. Arthur – Matawan, N.J.: My question concerns converting disability payments to retirement benefits at age 66. I am 66 (but still working and thus holding off on collecting my Social Security benefit), and my wife will turn 62 in November of 2015. She has been on disability for the past year. I thought that she could continue to collect disability payments until just before November of 2019 (when she will turn 66), then suspend her disability payment before it converts and file for spousal benefits on my work record. I will be collecting my benefit since before that time. She would then collect her spousal benefit until she turns 70 at which time she would begin collecting her own deferred benefit. Is this strategy no longer possible based on the new rules? If not, what do you suggest? ​Larry Kotlikoff: That strategy option for disabled workers was taken away by Social Security on Dec. 23, 2014 in an act of discrimination against the disabled. Your wife can suspend her retirement benefit between full retirement age and 70. At 70, she can restart it again at a roughly 30 percent higher value. (By the way, her disability benefit will become her retirement benefit when she reaches 66.) If your wife had a very low earnings record in absolute terms or compared with yours, she may be able to collect an excess spousal benefit after you have filed for your own retirement benefit. If this is the case, suspending her own retirement benefit could simply cost her benefits for four years with no higher benefit at age 70. You will want to use software that considers disabled workers and checks out all the options to find the one that maximizes your lifetime benefits. David – Oakland, Calif.: My wife turns 66 in March of 2016, and I turn 66 in September of 2016. I have a much higher income. We anticipated my using the classic file and suspend strategy and for her to start spousal benefits in September of 2016. Although that option is gone, because of the grandfathering, may she file and suspend on her 66th birthday? And may I then file selectively for only spousal benefits on my 66th birthday while still allowing both of our own benefits to increase until we are 70? Not as good as we had hoped, but better than a poke in the eye. Does this approach work? ​Larry Kotlikoff: The answer is yes. She has to file and suspend before April 30, 2016. Then you can file for just a spousal benefit when you turn 66 in September. At 70, you both can collect your retirement benefits at their highest possible values. Marcia: I am concerned about the new Social Security law and whether or not it affects my husband and me. I am turning 70 years old in February of 2017, and my husband will be 65 in June of 2016. I plan on retiring at 70. In order for my husband to receive a spousal benefit until he reaches 66 or 70, do I still need to file and suspend by April 29, 2016? Larry Kotlikoff: Yes, you need to file and suspend immediately. You can walk into the local office tomorrow and tell them you are doing this. Just make sure they specify in the remarks section of your application that you seek to file and suspend your retirement benefit effective April 11, 2016. Demand a copy of your application form. Joe: First, I want to thank you for helping so many of us baby boomers wade through the maze of Social Security. I bought your book “Get What’s Yours” before the changes in the Social Security laws were passed. I hope you can answer my questions as it seems I am on a ticking clock. My husband (we are a gay couple) and I were legally married in July of 2014 after 34 years of being together. He is 74 (born in October of 1941) and receives approximately $2,100 from his Social Security benefits and has since he was 66. I am turning 65 next month (born in May of 1951). We were told by our financial adviser at Fidelity that I should apply for Social Security benefits before the end of April, suspend those benefits, apply for spousal benefits when I turn 66 and allow my own benefits to reach the maximum amount at age 70. At the Social Security office today, we were told that I cannot file and suspend, because I am entitled to more than 50 percent of my husband’s current benefit when I reach the age of 66. I am confused as to what I should do, because I was always under the impression that I was grandfathered in and could file and suspend, as I was born before 1954. And I also thought I could receive half of my husband’s benefit at age 66 and let mine reach the maximum amount at age 70. Can you please help clarify? 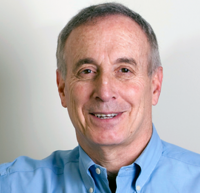 Larry Kotlikoff: Your adviser’s advice could not be more screwed up. And Social Security’s statement to you is correct, but was incomplete and therefore misleading. It didn’t point you to the right move. The right thing to do is for you to file for just your spousal benefit on your husband’s work record when you turn 66. You can — without a question — do this under the new law. The April 29, 2016 deadline does not apply to you in any way, shape or form. When you reach 70, you should file for your own retirement benefit. If you were a decent earner, this will raise your lifetime benefits by close to $50,000. This is basically the strategy I recommended to Paul Solman, which led to our writing, “Get What’s Yours – the Secrets to Maxing Out Your Social Security” with Phil Moeller. (A revised edition is forthcoming on May 3.) I’m hoping that Fidelity will buy copies for all its advisers and that Social Security will do the same for all its staff. As for the Fidelity agent’s statement, you can’t suspend your retirement benefit until you are 66. So if you went in to Social Security to file and suspend, they would say, “You can file, but you can’t suspend.” If you say, “OK, I’ll file,” you would instantly eliminate the ability to collect a full spousal benefit on your husband’s work record starting at 66 while letting your own benefit grow through age 70. Instead, you would be instantly deemed to be filing immediately for both your own retirement benefit and your spousal benefit. Social Security would then give you the larger of the two benefits, which will surely be your retirement benefit assuming you had a half decent earnings history. Since you’d be receiving your retirement benefit early (before 66), it would be permanently reduced. So by following Fidelity’s advice, you would a) get no spousal benefit and b) have a permanently reduced retirement benefit. It would be permanently reduced by about 7 percent. So following such advice would cost you even more than $50,000. What the Social Security representative should have told you is that you absolutely don’t want to file for your retirement benefit until you reach 70 whether or not you suspend it. You are trying to get spousal benefits on your husband’s work record. You aren’t trying to give him spousal benefits. Even if you were 66 and could file and suspend, he’d receive just an excess spousal benefit on your work record, which would most likely be very small or zero. Social Security should have told you to do just what I am telling you to do — wait until 66, file for your just spousal benefit and wait until 70 to take your own retirement benefit.